Interior design projects can be demanding and very stressful because there are so many different things to take care of. You expect to encounter some problems with your project but sometimes, you’ll run into things that you didn’t expect and that can make completing the project more difficult. The larger the project, the more challenges you’ll face but careful planning can help you avoid many of the problems that delay projects. While you can’t prepare for everything, knowing the biggest challenges encountered with interior design projects will help you better prepare. One of the first steps of any interior design project is choosing your design style and it’s one of the most difficult. There are so many styles and design trends to choose from that it’s hard to pick one. Many couples have different taste, too and that can make it difficult to find a style that suits both of you. To make this challenge a little easier, look at design options to help give you ideas for your style. Compare the pros and cons of the one’s you like to determine which one will work best for you and your family. This will also make it easier to compromise with your spouse if you’re having a hard time agreeing on a style. You also have to be careful when you choose something trendy because design trends change very quickly. Don’t choose a style just because it’s the latest trend or you may end up regretting it in a few short months when it’s replaced with a new one. Instead, make sure it’s something that you truly like. Here at J. 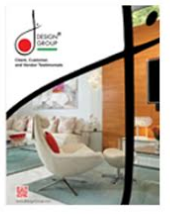 Design Group, our experienced and knowledgeable designers can help you choose the best interior design for your project. We have the technology to show you what your home will look like when the project is complete using computer-aided design or CAD software. This takes the guesswork out of the design stage and it’ll help you determine which style you like best. Shopping around for the best deals on supplies and furnishings can be a daunting task. Comparing companies, quality, prices and options is time consuming but that’s just part of the problem. If you don’t have any experience or knowledge about the different types of materials used for interior design projects, it can be difficult figuring out what to buy. It would be easy to miss something you need or even make the wrong choices. This is why you need a professional designer to help purchase the building materials and buy the furnishings for your project. We can help because ordering and tracking products is part of the services we offer. Another challenge many people encounter with their interior design projects is staying within the allotted budget. This can happen when you don’t do thorough research and materials end up costing much more than you expected. Another example would be changing your mind about the interior design you chose and switching to something else right in the middle of the project. This can delay the project for months and drain your bank account, so it’s vital that you know what you want before you begin. You can avoid dealing with some of the biggest challenges others have dealt with during their interior design projects when you take time to prepare and we can help. Give us a call today!